Keywest Partnership is a Chartered Quantity Surveying practice providing consultancy and expert services for the construction, engineering, process and infrastructure industries. We provide contract, commercial, programming and dispute resolution services for a broad range of organisations including public authorities, consultancies, contractors and construction law firms. Our focus is to ensure that key client objectives are achieved whether that is optimising cost certainty, maximising contractual entitlement, or efficiently delivering projects within budget. Through investigation and analysis we aim to provide solutions that meet our clients’ optimum financial and performance outcomes. At Keywest Partnership we carry out the broad scope of Chartered Quantity Surveying services for a wide range of public and private sector employers, consultancies and contractors. At Keywest Partnership we carry out the broad scope of Chartered Quantity Surveying services for a wide range of public and private sector employers, consultancies and contractors. Being in the coalface of live project work is at the heart of our business model and it compliments and informs our technical knowledge base in respect of our dispute resolution services. Despite the best intentions within the commercial arrangement the risk of conflict and formal disputes remains. Our practice mission is to protect our clients from formal dispute proceedings where possible. We are committed to providing practical and cost-effective solutions for our clients and set out to achieve timely and amicable settlements. However, where early settlement cannot be reached we provide all necessary contract, delay analysis and quantum services to protect our clients’ interests. In the event of formal dispute, we draw on close affiliation with industry-leading construction solicitors, arbitrators and adjudicators – both past and present. Whilst our services are tailored to cover all sectors and forms of contract, Keywest Partnership has extensive experience in the field of infrastructure and NEC contracts. Whilst our services are tailored to cover all sectors and forms of contract, Keywest Partnership has extensive experience in the field of infrastructure and NEC contracts. Infrastructure is playing an increasingly important role in the UK construction industry as the challenges around maintaining and improving essential services and sustainability perpetuate. We provide NEC contract training and regularly investigate and resolve NEC contract challenges on behalf of our clients. At Keywest Partnership we provide Planning and Delay Analysis services at all stages of construction in both non-contentious and contentious situations. 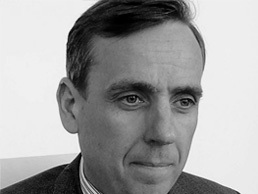 Our Planning services are headed by Iain Stackhouse. Iain worked as a Senior Planner and Planning Manager for a number of national contractors before gaining extensive dispute resolution experience as a Forensic Delay Analyst, providing independent expert delay reports in Adjudications and attending Mediations at the request of the parties. Our diverse and motivated team offers a fully bespoke service to meet the specific requirements of our Clients. We successfully combine significant experience with the effective training and development of leading undergraduates and students from across the industry. We are an RICS accredited practice which is passionate about training and professional development through its structured RICS Assessment of Professional Competence programme (APC). 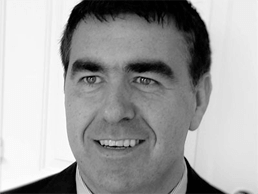 Eddie is a Chartered Quantity Surveyor with over twenty-three years’ experience of large scale and complex construction and engineering projects. Eddie trained and qualified with a regional contractor before spending six years providing dispute avoidance, claims management and support to clients with project disputes in Saudi Arabia, Bahrain, and Qatar. More recently Eddie worked with a leading consultancy providing quantum, delay and technical support to a client-appointed law firm during arbitration proceedings on an aviation project in the United Arab Emirates. Eddie has project experience in renewable energy, infrastructure, building, healthcare, aviation and oil and petrochemical sectors. 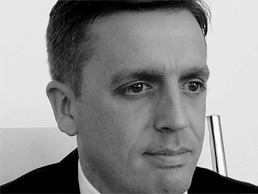 He specialises in providing strategic advice, commercial management and dispute resolution services, and is proficient in preparation, assessment, negotiation and settlement of contractual claims relating to time and quantum matters. Eddie is a highly qualified professional with a degree in quantity surveying and an honours degree in law. He is also a member of the Royal Institution of Chartered Surveyors, a member of the Chartered Institute of Arbitrators and a member of the Society of Construction Law. Owen is a Chartered Quantity Surveyor with over twenty years construction and engineering experience specialising in civil engineering, building, highways, infrastructure, and rail sectors. He has extensive commercial and contract management experience and carries out roles in adjudication e.g. producing expert reports, preparing referral documents and providing technical support to construction law firms. Owen is a specialist NEC procurement and contract professional who has successfully delivered multiple infrastructure framework programmes across the UK. Owen has extensive experience of procuring NEC contracts, developing documentation and providing an advisory service to clients on complex NEC projects from inception through to conclusion of the commercial process. In addition he regularly delivers NEC training courses. Owen is a highly sought-after professional who attained an honours degree in quantity surveying at Liverpool John Moores University. He is a member of the Royal Institution of Chartered Surveyors, a member of the Chartered Institute of Arbitrators, a member of the Chartered Institution of Civil Engineering Surveyors, a member of the Society of Construction Law and a member of the Adjudication Society. Antony is a Chartered Quantity Surveyor who has gained significant experience in the civil engineering, infrastructure and building industries in the United Kingdom and the Middle East. He has extensive experience of major city developments, highway infrastructure and heavy civil engineering projects, providing commercial management and dispute resolution services to various clients in the public and private sector. Antony advises contractors and employers on commercial and procurement matters, commercial negotiation and claims management. He has provided successful commercial delivery on multiple large scale construction and engineering projects. Recently Antony has provided quantum and technical support to party-appointed construction law firms on a complex heavy engineering bridge project and also in adjudication on a major NEC3 highways project. Antony specialises in NEC and has comprehensive knowledge and experience of this suite of contracts. Antony gained a First Class honours degree in Quantity Surveying at Liverpool John Moores University and is a member of the Royal Institution of Chartered Surveyors, a member of the Chartered Institute of Arbitrators, a member of the Chartered Institution of Civil Engineering Surveyors, a member of the Society of Construction Law and a member of the Adjudication Society. Keywest Partnership provided us with contract and commercial support at an energy from waste Project in Buckinghamshire, UK. They were organised, professional and brought clarity whenever confronted with complex matters. Through strong teamwork and commitment, they supported us to protect our position. Keywest Partnership has provided commercial support to Stockport Council since 2015 on the £73m Town Centre Access Plan (TCAP) programme of works. The Keywest team manages the commercial arrangements on over 100 individual contracts, ranging in value from £10,000’s to circa £12m. Keywest operates efficiently and effectively, is responsive to client needs and is flexible in accommodating the demands of a complex and varied programme of works. Keywest Partnership has been providing North Midland Construction plc with Commercial Management and Quantity Surveying services on some of our most prestigious projects and we have been delighted with the high standard of services provided. We have found their employees diligent, industrious, conscientious and trustworthy and they have developed into a key Supply Chain partner and are my particular division's first 'port of call' for Commercial services. I would certainly recommend Keywest Partnership to other prospective clients. I have worked with Keywest on a number of occasions and found them to be dedicated, knowledgeable and user-friendly. Their collective knowledge of the NEC suite helps them to stand out from the crowd. I have previously recommended them to clients who have been highly complementary of the service they have provided. If you would like to contact us please call on 0151 556 1899 or complete the contact form below.